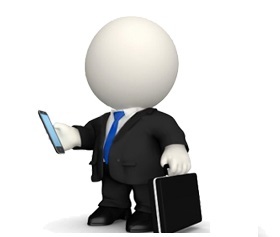 Home » Business Ideas » What is required to become a successful businessman? I come across many people who talks about starting a business.They aspire to become a successful businessman. However, a majority of them are talking about starting an own business since past several months or years and they have not taken any step in this direction. Whenever I ask them that what you are planning to do? When you will be starting a business? I am getting following answers. I have yet not decided anything. I am still thinking….! You only tell me what to do and how to start? Majority of people are not clear about what they want to do? So, there is no question of when. Why many people talk about starting business but not able to implement it? They are happy and satisfied with current situation. They don’t want to change. They think that they are earning steady paycheck why to take a risk? They are not serious about starting a business. They are just talking about starting a business to impress the people. Actually, they don’t want to start a business they are just passing the time. They think that they are not ready to start the business as they don’t have experience and money. Fear of failure is another reason. When fear of failure is higher compare to the happiness of success it is very difficult to become a businessman. Passion – Burning desire to do something for own. Clarity – Clarity of thought process behind starting own business. Business idea – You should have a business idea or concept. Business plan – You should have a business plan and money for starting own business. Confidence – Confidence in your business idea. If you have multiple doubts it will be difficult to succeed in business. Patience- You should have a lot of patience. It may be possible that initial stage your idea will not click or you will not make any profit. Perseverance – You should have a strong determination to become a successful businessman. Backup plan – You should be ready with a backup plan. If your business strategy fails, what alternative you have. Luck – Luck is not everything but it also plays an important role in becoming a successful businessman. As per me if you are doing a job and planning to start your own business, instead of resigning from job first try side-business or take leave from your job and do a pilot run of your business. Entrepreneurs are born and not made. It is not a reality today anyone who aspires to start a business can become a successful businessman. You need an innovative idea to become a successful businessman. It is not a reality you can even pick up an old successful business idea and implement it in your own way. It is necessary to have the experience to become a businessman. It is a myth, today you will find many people who start and run a business without any experience and they are successful. An example is Steve Jobs he started his own company without any experience and today Apple is one of most successful company all over. You need education and training to start the business. Well, as per me, insight is more important than education. We have examples like Shri.Dhirubhai Ambani, Bill Gates etc. who has not completed their education yet they have built a successful business empire. You can become crorepati by starting a business in few days. It is a myth it takes a time to make money from your business. Business is a way to become wealthy but it is not a shortcut. In any business, you need to first create a value and then you can sell it. At last, I would like to advise you that if you are doing a job and planning to start your own business start as early as possible. To become businessman is a logical decision. Whatever efforts you are currently putting in your Job if same efforts you place it in business you can probably earn more money. If you are aspired to become a businessman in future hope thoughts shared above will help you. In addition to I also recommend to go through my earlier post – Your salary paycheck won’t make you rich. please give me more ideas or suggestions related to this mail or Bussiness ideas.